The 'Mora' project is a stunning residential property composed of 5 luxury apartments with modern and avant-garde architectural style, located at the heart of Bucharest in Romania. The property required to equip the building with a technological solution that would allow controlling and managing the lighting, HVAC systems, and energy consumption of each apartment in a simple and intuitive way. 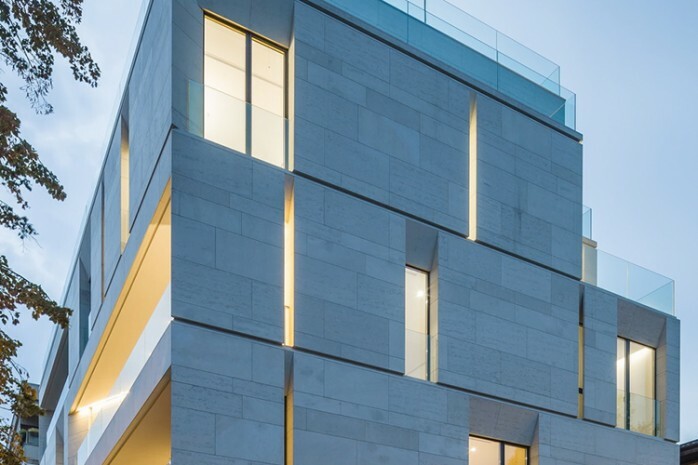 To fulfil this request the residential property was equipped with KNX solutions from Zennio. One of the main requirements of the project was to collect information from each apartment in real time using different sensors, actuators, and devices, and set scenes and alerts that enable homeowners to save energy and have a centralized control. 22 color capacitive touch panels Z41 were installed and distributed in different areas of each apartment for such purpose. The capacitive touch panels Z41 have led to a new breakthrough for controlling the apartments of Mora Building: important energy savings, centralized control of conventional and LED lighting, HVAC zoning control, scenes setting, and remote control of different devices in real time from mobile devices such as Smartphones and Tablets. The KNX solutions installed have allowed homeowners to obtain an extra style in every room thanks to the minimalist aesthetic of the Z41 color touch panels with nicely rounded smooth corners and glossy glass reflecting surface that leads to elegant and comfortable residential apartments. 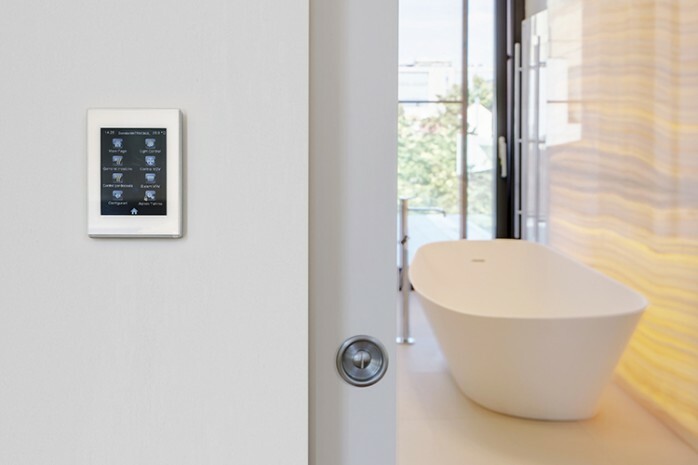 The KNX touch panels have allowed distributed communication in a simple and intuitive manner through its outstanding 4.1 " (3x4) color display, resulting in a transformation of homes into real smart homes. 19 units of KLIC-DI were installed to control the heating and air conditioning systems. KLIC-DI is the bidirectional communication interface that allowed the integration of Daikin VRV systems with KNX. Thus, Zennio has provided an innovative climate solution that optimized the control and comfort, while achieving significant energy savings. This is a substantial added value for users, since they just have to set up the temperature in the Z41 touch panel in order to generate the desired temperature adjustments in each zone. The lighting of each apartment is managed individually or through scenes that run in each zone and /or through activities performed by the user (i.e. Watch movie scene, dinner, relax, and so forth). 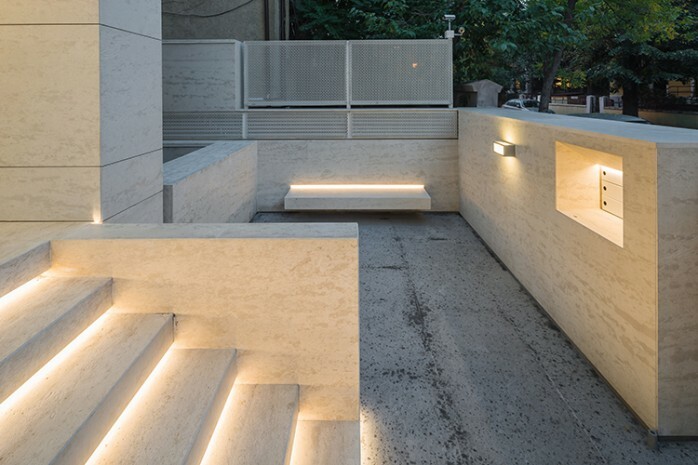 The building also features outdoor LED lighting with warm accents that underlies the building architecture. 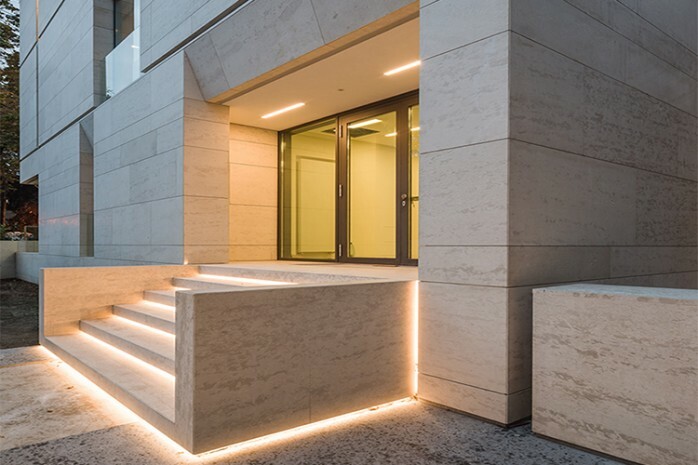 For instance, the main entrance has LED strips that are automatically executed by the KNX LED lighting controller Lumento X3. Zennio solutions have provided pleasure, comfort, and important energy savings to Mora owners through its elegant touch panels installed on the walls, from which all options and functionalities are displayed graphically and intuitively.